It's the Skylanders game where one player is Kaos and his Minions, trying to protect themselves. 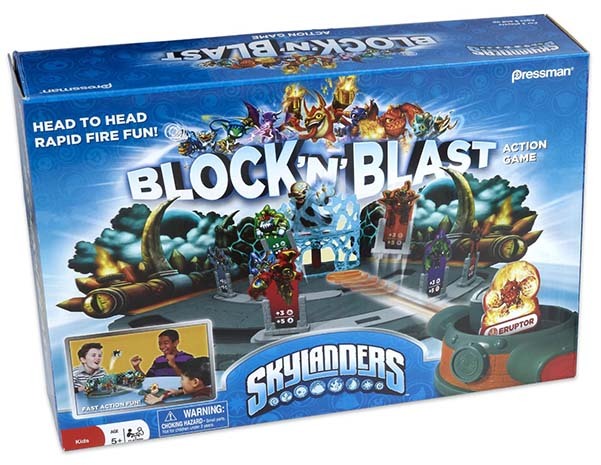 The other player uses a specially designed blaster that has different abilities based on the Skylander that's being used. When the blaster knocks down a minion the blasting player scores a point. Knock out Kaos and score 10. All players take turns playing Kaos and Skylanders and the player with the highest score wins.